IMR has helped initiate and solidify several collaborations with Indian materials scientists, which are already progressing to become rich, ongoing partnerships. Thus far, outreach coordinated through IMR has resulted in the signing of an MOU by IIT-Bombay and Ohio State and a materials science joint workshop between IIT-Bombay and Ohio State. IMR continues to work with OSU’s India Gateway office and others to stimulate research collaborations between OSU’s materials community and researchers and industry partners in India, as the umbrella organization for Ohio State materials research and the lead organization for the Materials and Manufacturing Sustainability Discovery Theme. Below are highlights of some of the major IMR-led OSU-India partnerships, as well as links to related press about our efforts. OSU-India Partnerships – March 2016 Update – includes information about OSU-IIT Bombay partnerships; an OSU-FICCI joint seminar; meetings with university and government officials, private industry, and alumni in Mumbai and New Delhi; and a visit by Ardeshir Contractor, Ohio State alumn and CEO and founder of Kiran Energy. In June 2015, IMR hosted Materials for Energy and Sensor Applications, the first IITB-OSU joint workshop focusing on advanced materials and manufacturing, solar energy, semiconductor devices and bioengineering. This workshop included tours of four OSU research facilities, presentations from 19 IITB and OSU faculty, and networking opportunities. 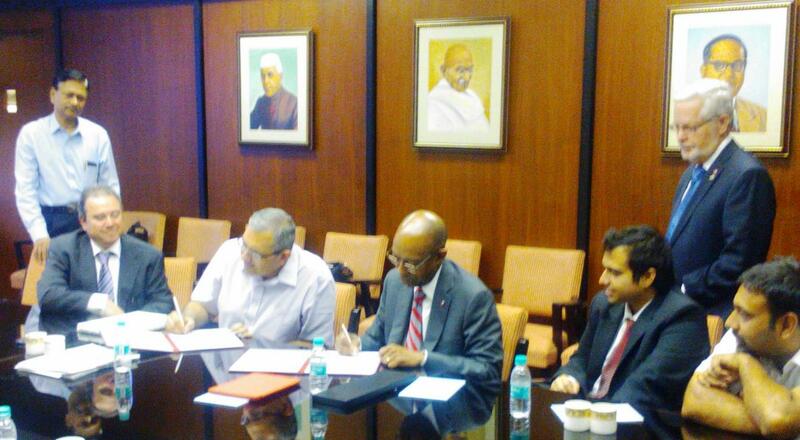 In January 2015, an OSU delegation including OSU President Michael Drake and IMR Executive Director Steve Ringel traveled to India to formalize a partnership between The Ohio State University and the Indian Institute of Technology – Bombay. Leaders of both institutions – President Drake and IIT-B Director Dr. Devang Khakhar – signed a Memorandum of Understanding formalizing a strategic partnership building on the two universities’ complementary strengths and assets, beginning with first wave focus areas of advanced materials and manufacturing, solar energy, semiconductor devices and bioengineering, and a commitment to fold in data analytics over time. In February 2014, IMR Director Steve Ringel spent a week in India, in collaboration with OSU’s India Gateway, for a series of meetings with industrial executives and academic leaders across India for the purpose of establishing meaningful linkages between the OSU materials community and Indian companies and universities. 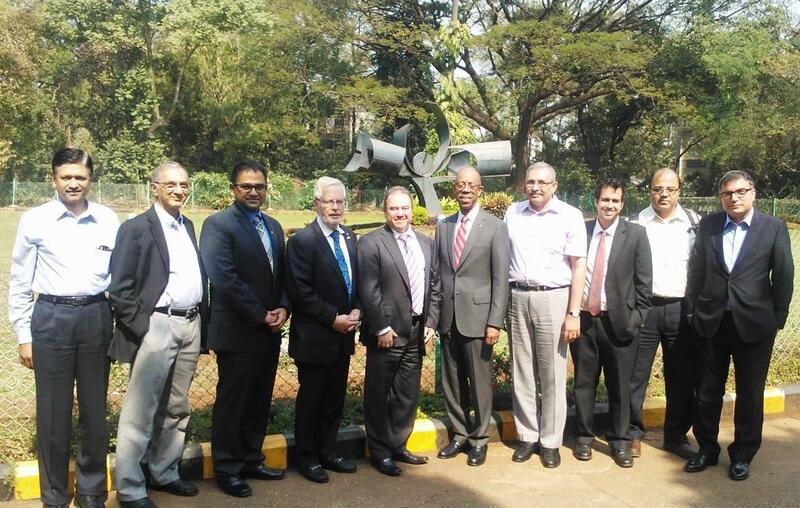 Meetings were held with OSU alumni in academia and industry in Chennai, Bangalore and Mumbai, including discussions with Larsen and Toubro, Kiran Energy Solar Power, several divisions of the Tata Group of companies, Indian Institute of Technology-Bombay, Indian Institute of Technology-Madras and the Indian Institute of Science in Bangalore. During his visits, Dr. Ringel gave several presentations on the strengths and breadth of the OSU materials community and discussed areas of mutual research and innovation interests. 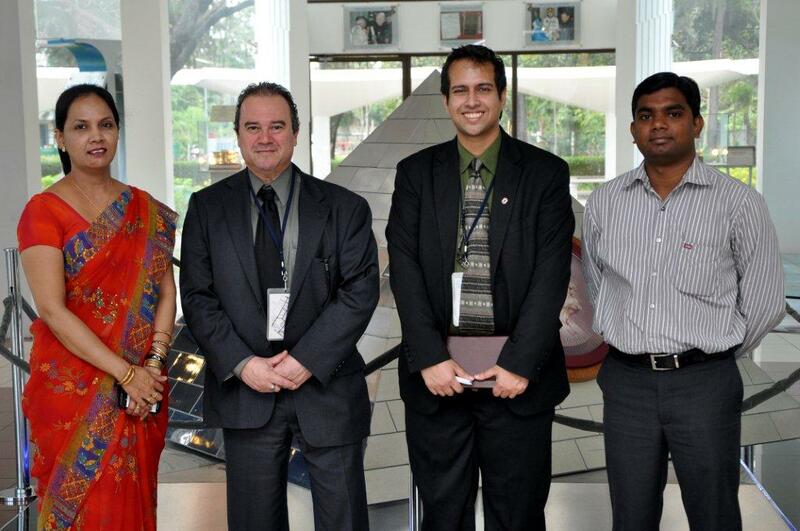 Based on the success of Dr. Ringel’s visit, the IMR in turn hosted a delegation from leading Indian companies in the materials and energy sectors, who visited Ohio State’s Columbus campus April 2014. Leaders from these Indian companies toured research facilities and met leaders from the State, Columbus and the University to further discuss opportunities of mutual benefit to all parties. The OSU-India partnerships have been featured in several OSU publications and in August 2015’s Columbus CEO and Columbus Dispatch. Ohio State’s Institute for Materials Research also operates in a space of high strategic value to Indian industry. IMR focuses on the “engineering of electronic materials, nanostructures and devices that will impact alternative energy, electronics, photonics and sensing technologies.” Steven Ringel, executive director of the Institute, is leading an OSU Discovery Theme initiative on materials and manufacturing innovations for sustainability. Ringel traveled to India two years ago to promote OSU’s research in sustainable manufacturing and materials with the help of the India Gateway office. “Through that conduit, I was able to access a wide range of business leaders, C-level executives at a variety of companies, as well as some leading Indian universities,” says Ringel. He visited Indian multinational manufacturers including Larsen & Toubro, multiple Tata Group companies and Mahindra Motors, one of the world’s largest automotive concerns. In late June, Ringel hosted an IMR workshop with the Indian Institute of Technology Bombay, whose leaders have been visiting OSU for the past year. Ringel hopes to support multiple projects between OSU and IITB, India’s top technology university, as a result of the workshop.